Congratulations to all the Bflies Instagram contest finalists! Pictured from left to right, top to bottom, @aimphd, @matt.king4, @jpolinchock, @captured_by_cassie, @branchesva @roadtworuin_photography, @roy_ramirez626, @jringphoto, @cherubpoetry, @iamcoreydelany, @am_green_gobbler_ma, @brittanysbugs, @lillatinlady, @leilagaskin, @iamfree2be, @possumama. 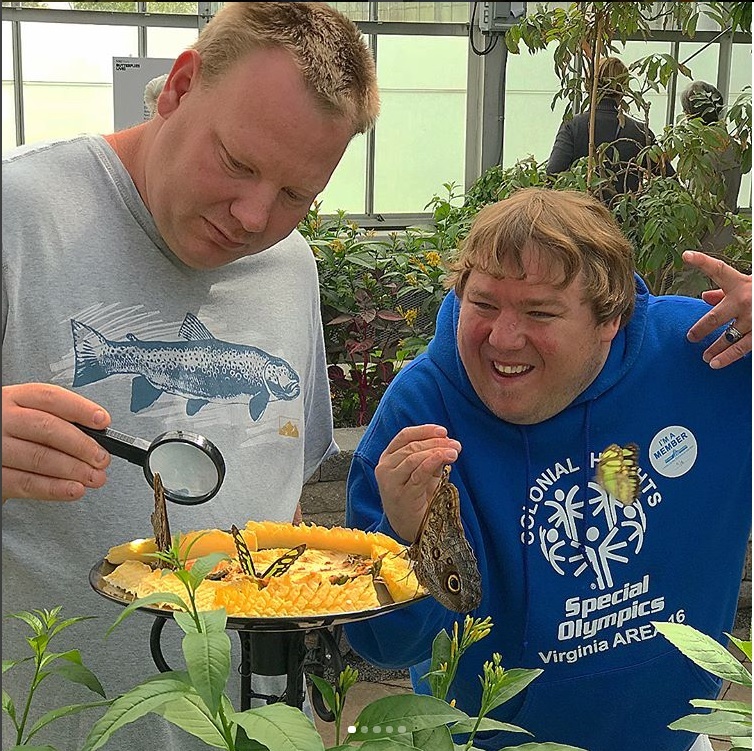 The Bflies Instagram contest continues to be our most popular Instagram contest, year after year. It’s also one of our favorites to judge! You send us the best images — and better yet, share your stories with us. It is an honor to announce these finalists: @aimphd, @matt.king4, @jpolinchock, @captured_by_cassie, @branchesva, @roadtworuin_photography, @roy_ramirez626, @jringphoto, @cherubpoetry, @iamcoreydelaney, @am_green_gobbler_ma, @britneysbugs, @lil_latin_lady, @leilagaskin, @iamfree2be, @possumama. If you want to see more great content, be sure to follow these people on Instagram too! Huge thanks to all of our sponsors for donating these prizes. With so many submissions, it was really difficult to choose just one winner. 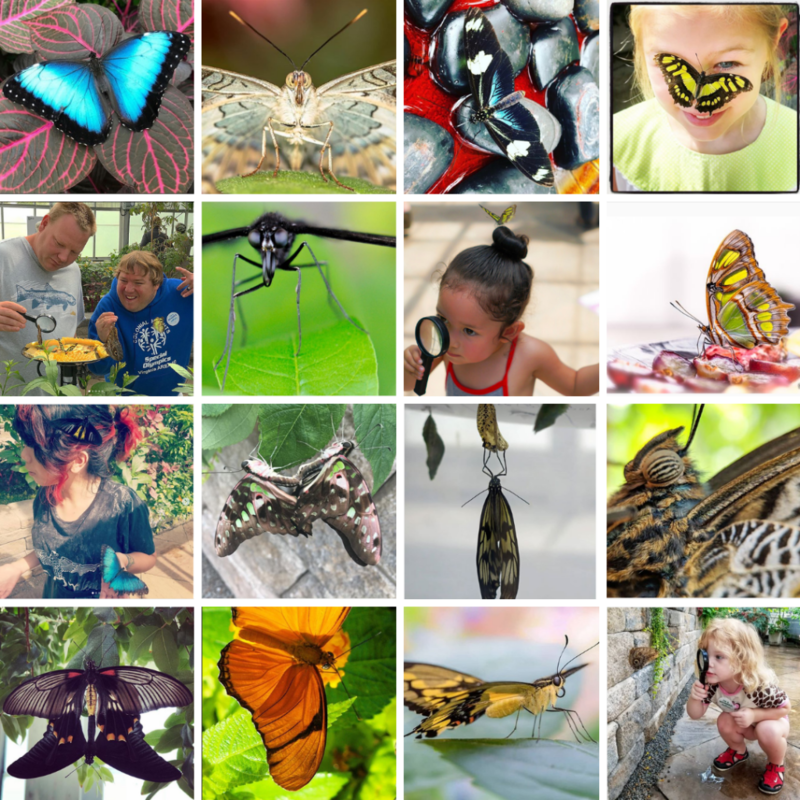 So here are a few other favorites: BranchesRVA captured the excitement that many visitors feel when observing butterflies up close in the exhibition. 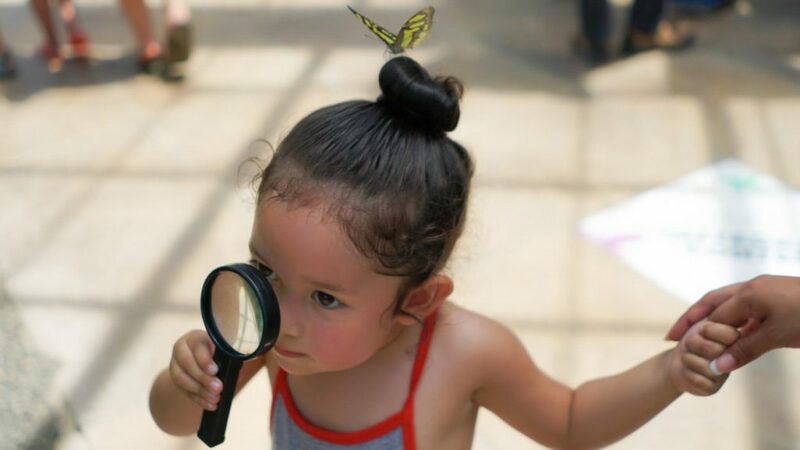 This submission from @BranchesRVA illustrates the learning and excitement of many of our visitors to M&T Bank Butterflies LIVE! An honorable mention goes to Garden Member @Possumama who has been a frequent visitor to our exhibition this summer with her curious kids. 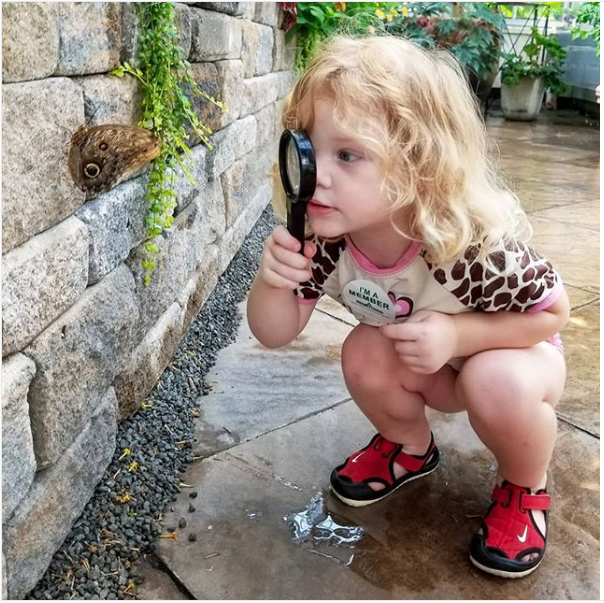 Garden Member Possumama captured this image of her daughter observing an owl butterfly. Thanks to everyone who submitted photos! We hope to see you next year when M&T Bank Butterflies LIVE! 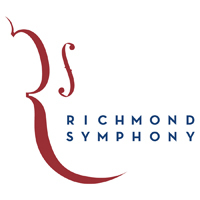 reopens in April.